Enjoy everything that the Negril Treehouse Resort on Negril Beach has to offer or simply partake in the art of doing nothing at all. Let the soothing island breezes bathe your skin with the cool of the Caribbean. Feast on lavish cuisine, exotic fruits and the enticing spices, all of which will make you savor the flavor of Jamaica. Enjoy the warmth of the white sands as you lay basking in the sun, while the soothing waters beckon you to be baptized in the crystal recesses. This hotel continues to dedicate itself in providing the highest standards of friendly, personalized service and accommodations to create the ultimate experience for guests and has been doing so for the past 25 years. Because of this, the Negril Treehouse Resort has become somewhat of an institution across Jamaica and especially Negril. Here you will find, seventy of Negril's finest air-conditioned guest rooms and suites. The Negril Treehouse staff is there to serve your every need you have but to ask. This resort is convenient to fine dining, shopping and entertainment venues. BOOK ONLINE! GUARANTEED LOWEST PRICES ON THE INTERNET! 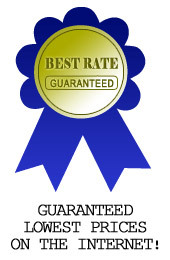 We are confident that our prices are guaranteed to be lowest rate you can find. If you find a lower rate for your hotel on another site, we’ll refund the difference to you. Book with us and enjoy total peace of mind! WHY CHOOSE NEGRIL'S WORLD FAMOUS 7 MILE BEACH? 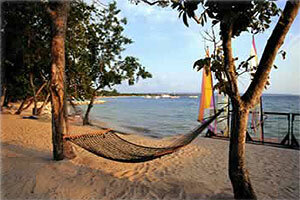 For years, Negril's 7 mile beach has been rated as one of the top 10 beaches in the world by many travel magazines. The north end of the beach is home to the large all-inclusive resorts, and to the south are the smaller, family-run hotels. This combination gives the Negril area a large variety of rooms, services and prices. Negril is famous for its miles of cool, white sand beaches. One of the most beautiful towns in Jamaica, it has a more laid back atmosphere than that of Montego Bay. When you stay at a hotel on the beach you are literally on the beach when you walk out of the beachside of your hotel. BOOK YOUR PARADISE RESORT TODAY! Studios and Villas are an ideal vacation rental for groups of 1-58 guests. Nestled Within The Foliage Of Negril's Famous Seven-mile Beach and is one of life's rare pleasures and the ultimate relaxation vacation. More Negril all incusive resorts. Copyright © 2012, VisitNegril.com. All rights reserved.